When choosing insulation for your home, the main goal is to evaluate the average temperatures in your location to choose the proper type and R-value. 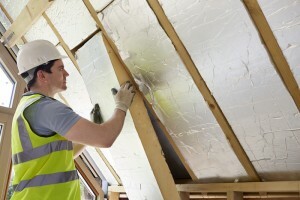 You want to select the most cost-effective insulation based on the energy savings it will provide to you. Hot, moderate, and cold climates require different types of insulation as well as different performance or R-value ratings. Here’s a breakdown of the specific relation between R-value and climate. Insulation R-values are calculated to indicate the material’s ability to restrict heat transfer, or its thermal insulation performance. When considering what insulation to choose for your home or business, remember that the higher the R-value number, the better the product performs in restricting the transfer of heat into or out of the home. What Type of Insulation and R-values Should You Choose? Your climate — and to some extent, the building materials used in your home — will normally determine the ideal choice of insulation in terms of cost effectiveness, energy savings, and environmental efficiency. The U.S. government’s ENERGY STAR program has developed a map that separates the country into eight different climate zones. The map also provides recommended minimum home insulation R-values that should be used for each climate. For example, much of the American South is separated into zones 2 and 3, where the minimum recommended R-value is R30 for a home with an uninsulated attic. Most of the country’s northernmost region is divided between zones 6 and 7, where the minimum recommended R-value is R49. The complete map can be viewed at the ENERGY STAR website. Hot Climates Hot weather areas need the highest level of attic and roof interior insulation to restrict the excess heat from entering the main home and to protect the attic and ceiling from premature deterioration. However, normally lower levels of wall insulation can be used, and slabs need no insulation at all. Milder Climates Milder climates usually come with lower cooling and heating energy bills. Thus, your insulation choice does not need as high of an R-value, especially for the walls or floors. It normally wouldn’t be cost-effective to go with the highest R-values. Colder Climates Wall insulation in colder areas of the country requires a much higher R-value than in hot or milder climates. Slab insulation and basement walls are also in need of greater thermal protection. Cold air penetrates walls and floors to such a degree that your comfort level will be disturbed and your energy bill could be shocking without the proper insulation. For more information on material performance or for other ways you can save on your energy bill each month, contact USI online to find a branch near you and get a free quote. USI believes in excellence in every step of the process and ensures timely completion and quality of service, time after time.